Miss Lillian Hargrove has lived much of her life alone in a gilded cage, longing for love and companionship. When an artist offers her pretty promises and begs her to pose for a scandalous portrait, Lily doesn't hesitate...until the lying libertine leaves her in disgrace. With the painting now public, Lily has no choice but to turn to the one man who might save her from ruin. A Scot in the Dark is the second installment of the Scandal & Scoundrel's series, but it does feature a few well-known characters from MacLean's completed series in the past. 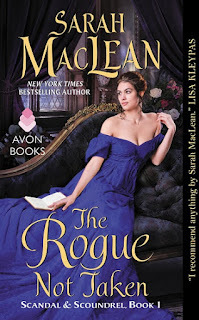 As a huge fan of Sarah MacLean, I was counting down the days until I could read this installment. Never failing to make me smile, make my heart sing with giddy romance, I wanted a hit of that intoxicating drug. But, sadly, A Scot in the Dark didn't work for me. For the first half, I enjoyed the story immensely. Lillian and Warnick played well with one another, a ton of tension and witty banter. Many a time I found myself barking laughter out loud. Lillian was not a damsel in distress – strong, patient, and firm. My issue was Duke Warnick for the most part. He was wishy-washy, taking page after page of redundant rumination. Most of his chapters of narrative were just rehashes of the same inner monologue from his chapter before. The same actions were repeated from around 40% of the book up until 95%. But my biggest issue with the story was pacing. The actual premise was an addictively decadent one, but it wasn't strong or complex enough to support the page-count. Either there needed to be another thread of conflict or plot, or it would have changed the entire feel of the novel if 200 pages would have been shaved off. 50% of the book was drawn out, with the characters dragging their feet and getting nowhere chapter after chapter, with an obvious happily ever after ending on the horizon. Usually I enjoy the journey, but the journey was just a rehash from chapters past. In the reverse of most historical romances, the Duke's actions belied his thoughts and words, refusing to give into the inevitable. I'm going to sound harsh – I wish he would have given in sooner, both for their happiness as a couple and to alleviate my boredom. The premise was a solid one, if the novel had been shorter or more conflict introduced. 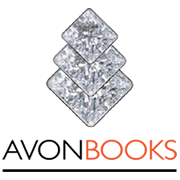 The characters were engaging and enjoyable, witty and strong, but the added page-length lessened, cheapened their characterization, as they had to continually do this or that when it wasn't necessary, in order for the author to meet a specific page-count. On another note: I wish I could remember the title of the book, but I've read this exact plot before. I'm not saying no two books can use the same plot devices. But with it being such a unique plot device, my mind latched onto the plot of the other novel. I'm wracking my brain, as I felt the pacing and tension of the other novel were better executed. 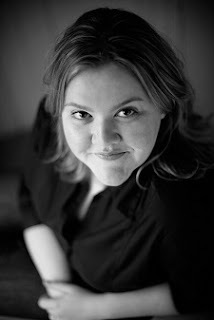 Recommended for Sarah MacLean fans. However, I don't recommend this title for those who are trying out the author for the first time, as I fear without the fangirl-blinders on, I don't know if I would have finished it. I found this book to be quite charming and relaxed. I had no problem getting into in and enjoying it as I went along. I definitely had my fair share of laughs at the banter between Alec and Lily. Lily has lived a lonely life. She's been stuck in a world where she doesn't quite fit in. Her loneliness has driven her into the absolute wrong hands and a mess that leaves her just wanting to run from it all. Alec learns that he not only has a ward, but one that is already landed in a heap of trouble. He thinks that he's off to rescue her, but she has a mind of her own and the spirit to back it up. I did definitely enjoy the chemistry between these two. I also really enjoyed seeing a return of King and the Talbot sisters. I did find the book to be a bit long and contradictory. We all knew what should eventually be the outcome, but it felt like a DVD with a scratch and it kept sticking in the same spot before eventually moving on. It just dragged on a bit too long towards the end for me. Overall, I enjoyed this book and would recommend it to my His-Ro peers. I definitely would like to see more of these two, maybe an appearance in a future book. 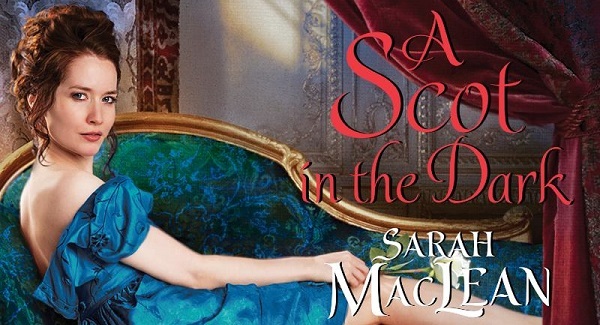 Reviewers on the Wicked Reads Review Team were provided a free copy of A Scot in the Dark (Scandal & Scoundrel #2) by Sarah MacLean to read and review.